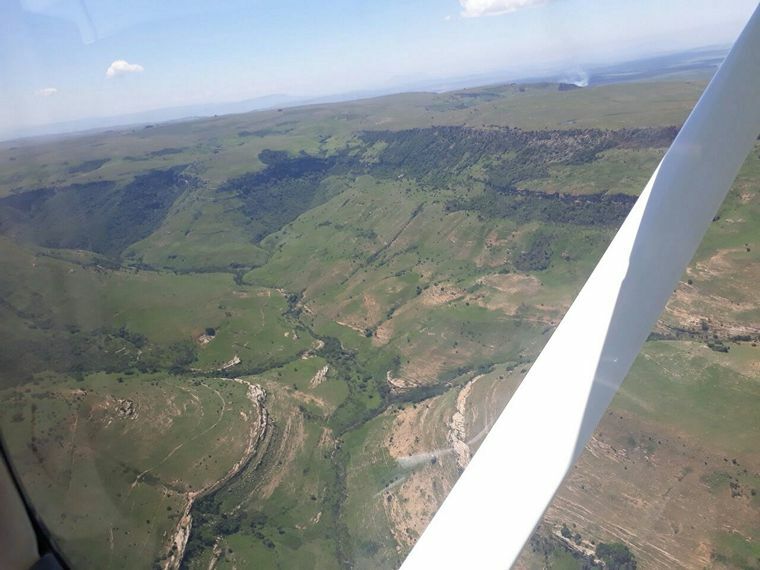 This year the EAA Convention is being held in Vryheid, KZN, from Friday the 27th to the 29th April 2018. It was decided to have a planning meeting at the airfield on Saturday 13 January, and the day turned out to have fantastic weather, and many EAA members flew in for the day from far and wide, mostly from the big smoke, and we had the Durban Chapter also attend. 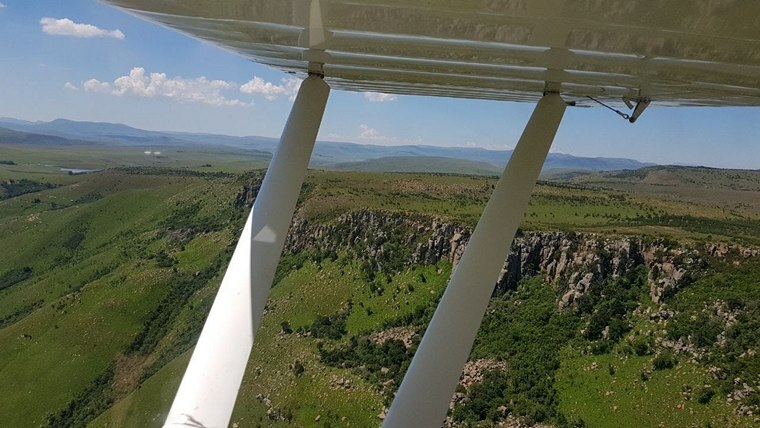 Vryheid laid on a full on breakfast which attracted some local pilots from the area also to drop in. Most of the flights left base just after 7 am and were on the ground at around 8h30. Those coming from the reef had to contend with a bit of headwind and sulfurous smog from the big power stations of Tutuka and Majuba, but from Volksrust clean mountain air was refreshing. Counting the visiting aircraft in the line-up was around 20, as such a big contingent having descended on the airfield, which was in excellent condition, the grassy areas well looked after and recently mown. Outside the clubhouse was a huge tree, which provided shade and a place to enjoy breakfast outdoors, the club members having prepared an excellent array of eats and drinks. After everybody had their fill and most members having arrived it was down to a planning work session under the shade of the tree to work out the details of the Convention, with camping plans, forums, adventure rally and Vryheid tourism activities. Marie was the designated scribe and wrote up the actions and minutes, with the Vryheid Club Chairman Morne Strauss taking the brunt of the actions to be done for the event as the host club. After the meeting, a light lunch was made available, and then refueling for the return flight, some of the visitors decided to camp overnight. Having had some input from the locals, on sights in the area, and looking at some scenic route planning for the Adventure Rally, Rob & Marie flew to a few spots of interest on the way back, so those who will take part in the Adventure Rally in April should have an interesting route to follow. Now the real detail planning will be starting, this convention is planned to be real attractive for the EAA membership, around 100+ aircraft will be catered for, with some unusual vintage and sport aircraft being looked at attending with the intent to make this a real grassroots EAA event.